I love knits, you don't have to iron them and they are super comfy. I wear lots of University of Illinois t-shirts and quilty t-shirts. 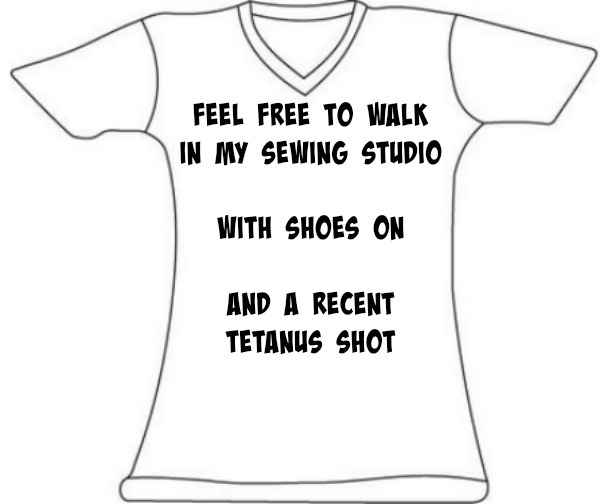 I am tall and fluffy and knits shrink so my preferred shirt is a WOMEN's size 3X V-necked t-shirt. These are incredibly hard to find. Some will say they are but in reality it's an adult size which fits completely differently. The shoulders and sleeves are way too big and the fit is just off. I have bought other than what I want and I do like Patchwork Threads shirts. 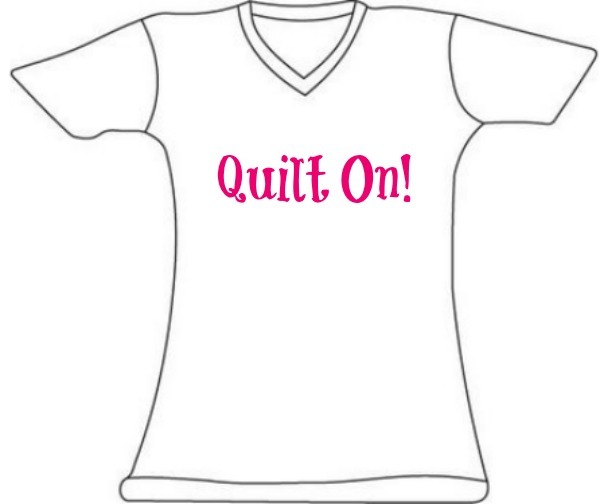 So here are the Quilt t shirts I would like to design. I figure if I come up with the ideas. maybe some clever person will manufacture them. 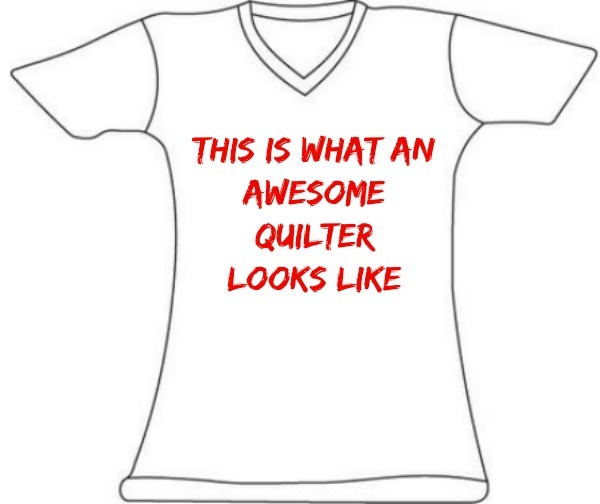 If not, it was still fun to think of new quilty t-shirts. The shirt doesn't have to white, in fact I like colors! 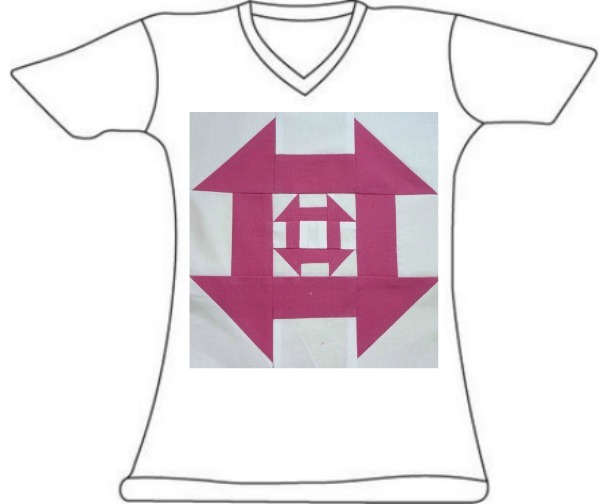 And lots of blocks would make cool shirts. I like this because Boomers used to say, Right on! This is actually pretty darn good advice! I know there are many of you who are way nicer people than I am. I still want the shirt. 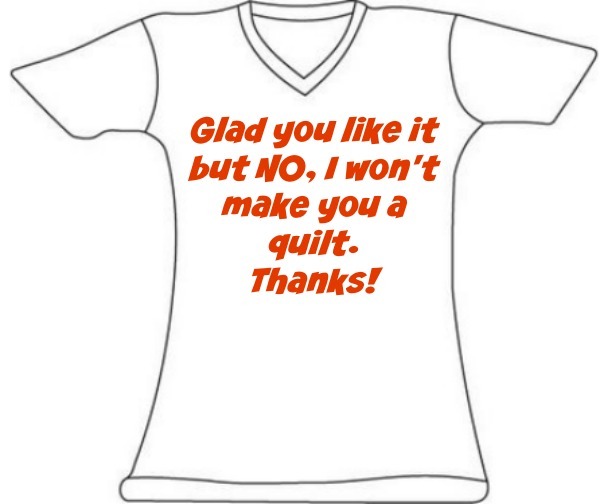 I saw a shirt similar to this and it made me laugh. 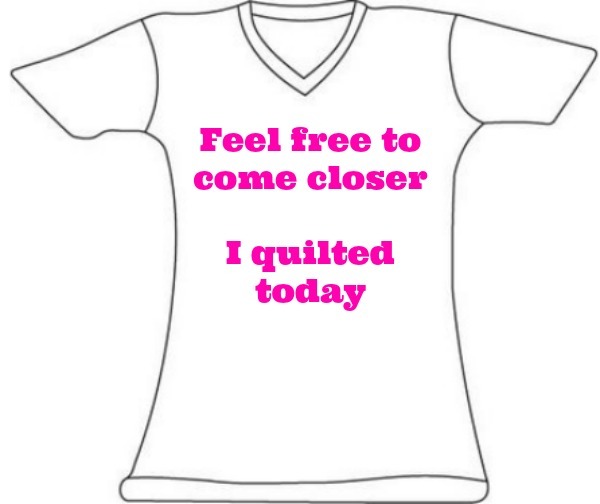 It wasn't about quilting. 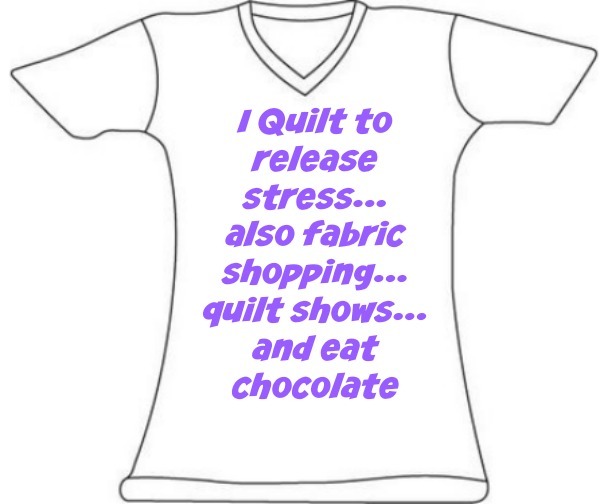 Seriously, if I haven't sewn or quilted, stay back! 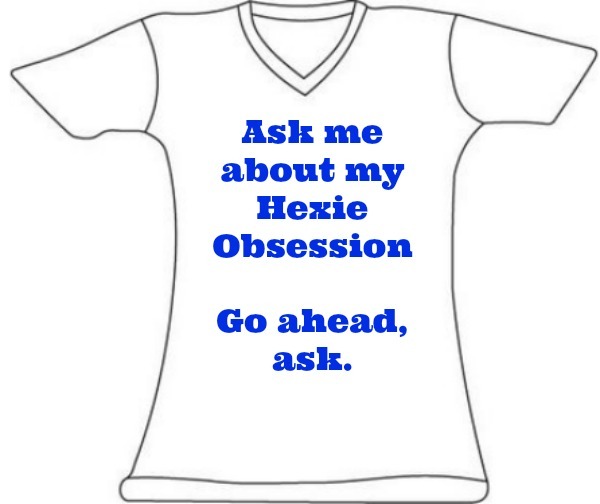 I actually don't have one but the shirt makes me laugh. Or how about just the initials EPP for the English Paper Piecing people? 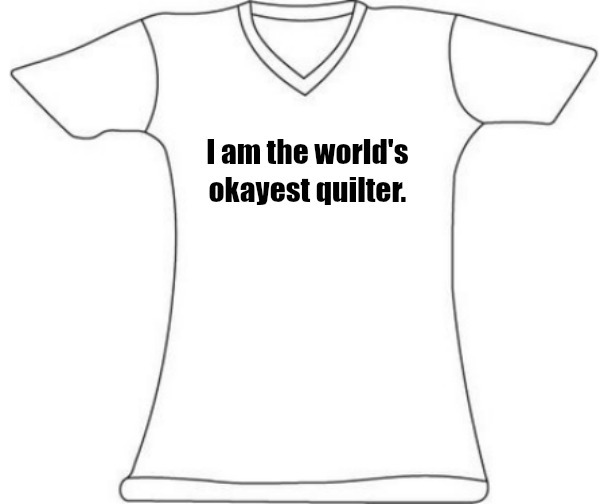 Hey, this is what we call an honest t-shirt! I actually really want to own this one. Any color. But a nice generous woman's cut, thanks! I've written other posts that are just for my amusement. Check out this one.